“I think (Rep.) Paul Ryan and (Sen.) Patty Murray looked everywhere they could to try and find compromise. 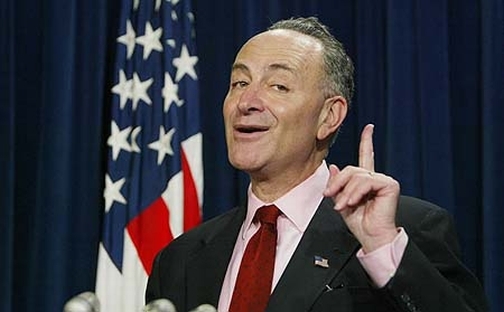 Everybody had to take a little,” Schumer said. “They’re going to have to pay a tiny, little bit into it, which they never have,” he added. But Schumer maintained members of Congress should not be forced to take a pay cut. He said they have already sacrificed, since they have not seen a pay raise “in a long time,” and explained most of them are paying more for healthcare insurance. Just so this statistic is perfectly clear, the members of Congress bring in over 17 times the amount that retired vets do. Despite this, veterans under the age of 62 will be looking at a 1% per year cut in their benefits. Members of Congress will not be looking at any reduction.